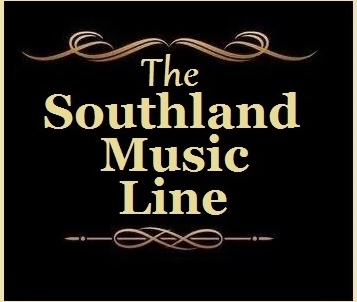 For the seventh straight year, The Southland Music Line aka “The Line” has made its way to Austin, TX for several days of exciting music and fun during South By Southwest (SXSW). 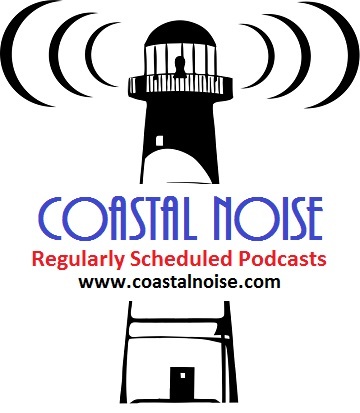 We have been introduced to an untold number of music artists and met some great folks during each visit to the annual event. Each year, we have learned more of what to do and what not to do during this very large gathering in the Live Music Capital of the World. Musician, John Paul White likened SXSW to a larger, sweatier Cayamo music cruise that is annually enjoyed by many- yes, SXSW is huge with thousands of musicians flocking to Austin featured in showcase and non-showcase events all over the city. In previous articles about South By Southwest, we have written in great detail about this event held each March. SXSW is a conglomeration of film, interactive media, and music festivals and conferences, but “The Line” makes its annual pilgrimage to Austin specifically for the music. We have also chosen to attend it “as the locals do”. Instead of the madness of downtown Austin’s array of showcase shows needing badges and wristbands, we opt for shows presented by radio stations and various sponsors. In no way are we discouraging fans from attending the showcase events, because in past years, we have enjoyed those, too. In 2019, we decided to attend three days of SXSW beginning on Wednesday, March 13 at El Mercado’s Backstage. 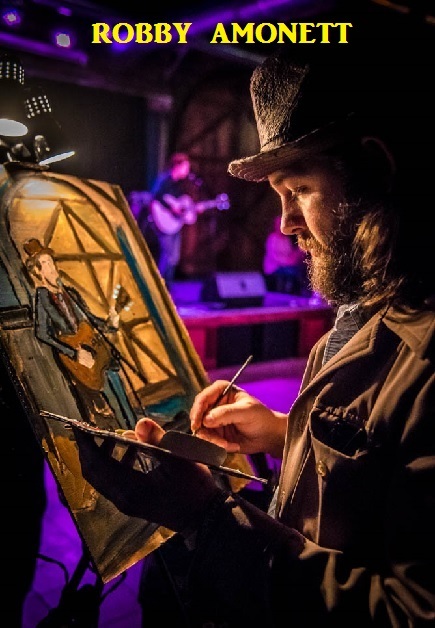 The event was broadcast live by WMOT 89.5 “Roots Radio” (Nashville) and was hosted by Jessie Scott (radio veteran and co-founder of Music Fog, the live-performance video company). 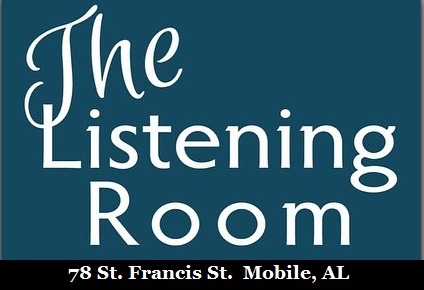 The show was kicked off at noon by a solo performance of Chuck Mead (formerly of the Grammy nominated BR549 and a favorite along with his band, The Grassy Knoll Boys, of our friend Jim Pennington’s Listening Room of Mobile). 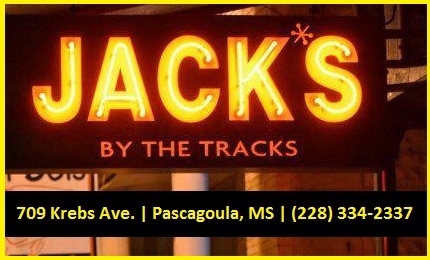 He was followed by the Cactus Blossoms, made up of brothers Page Burkum and Jack Torrey (Jack adopted a stage name when he first stepped out as a singer/songwriter at the age of 19). Their Every Brothers’ style harmonies are amazing and true crowd pleasers. It was great seeing them again. The afternoon continued with the country-rockin’ tunes of Sam Morrow. Along with his killer band, Morrow proved why he is poised to be among the Los Angeles’ country elite. 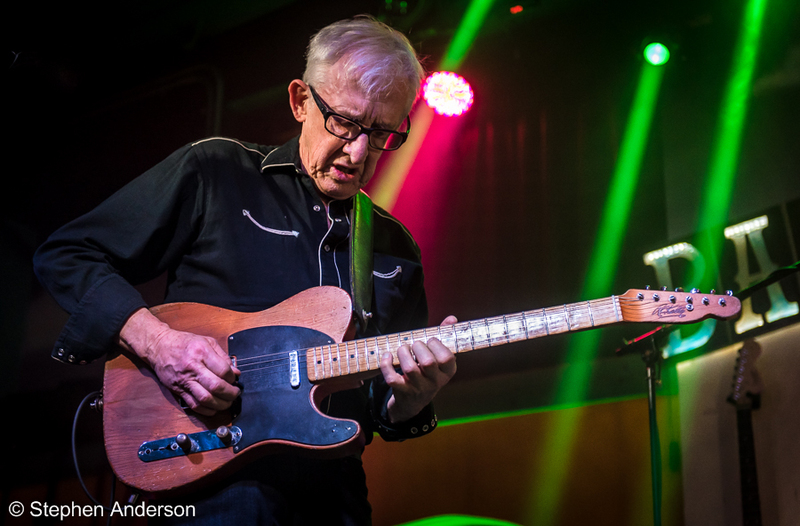 “The Titan of The Telecaster”, Bill Kirchen, was next, delivering a rousing 45 minute set including performances of Bob Dylan’s “The Times They Are A Changin” and, of course, the Commander Cody and the Lost Planet Airmen version of “Hot Rod Lincoln” – how can anyone ever get tired of Kirchen performing that great song? Things were not done yet at the WMOT 89.5 Sessions with performances by Bonnie Bishop and later, newcomer Logan Ledger up next. We have seen Bonnie Bishop several times, including previous years at SXSW and at Callaghan’s Irish Social Club in Mobile, Alabama, but we believe this year’s performance at El Mercado was a standout . Logan Ledger was someone we had never heard of before and one of the artists we left SXSW most enthused about. 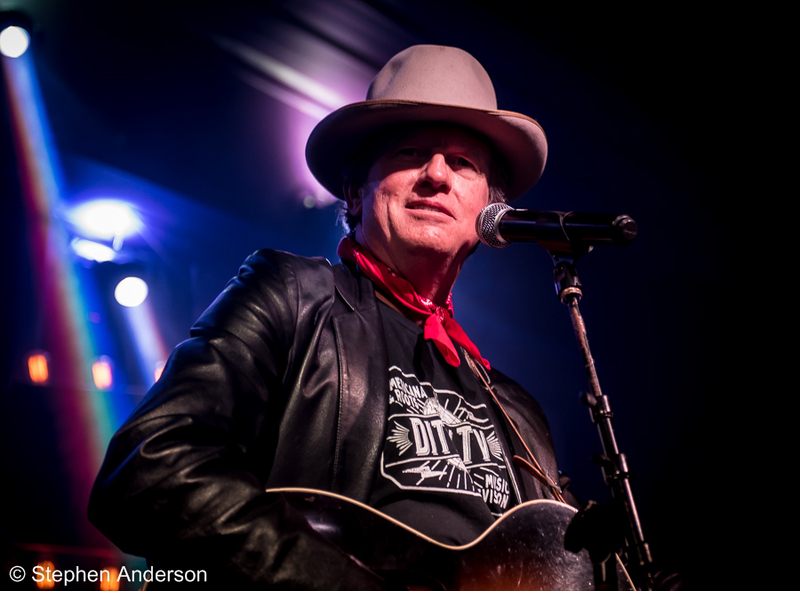 His upcoming album on Rounder Records is being produced by the legendary T-Bone Burnett. Logan Ledger is someone to look for in the coming months. After a delicious meal at the Magnolia Cafe on South Congress we headed a few blocks over to the Opa! Coffee and Wine Bar for more great music by one of our favorites, Gurf Morlix. 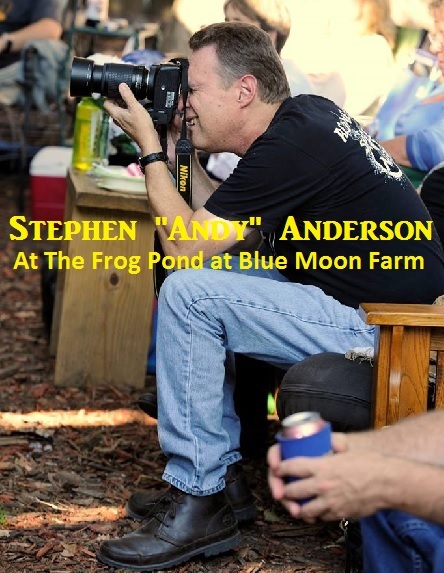 We have also seen him several times, including at past SXSW, The Satori Coffee House in Mobile, Alabama and an unforgettable 2018 show at The Frog Pond at Blue Moon Farm in Silverhill, Alabama. 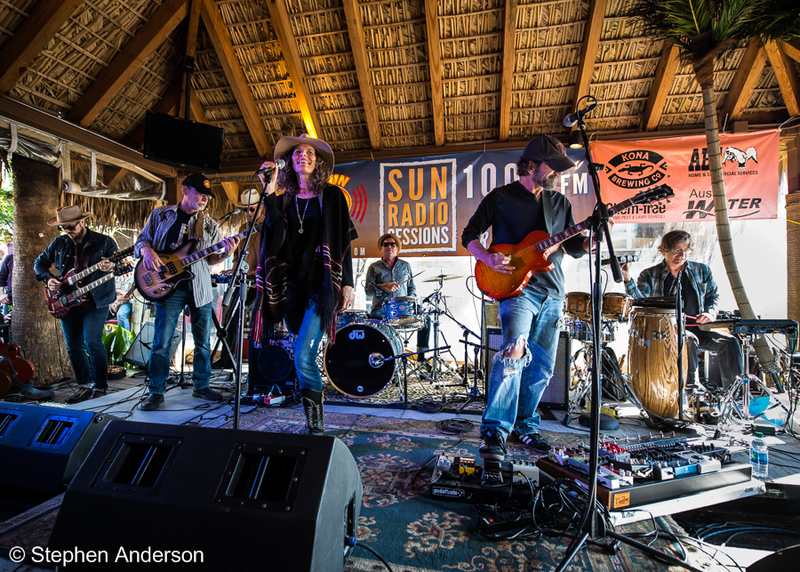 We got a little later start on Thursday, March 14 at the Hula Hut on Lake Austin, site of this year’s afternoon Sun Radio Sessions Broadcast. After a somewhat lengthy, but worthwhile, wait to enter the venue, we were once again able to get front and center for the show featuring Erika Wennerstrom (of the Heartless Bastards) and her band; followed by the incredible music and stories of Justin Townes Earle; Ben Dickey was next with his band performing songs from his latest album, “A Glimmer on the Outskirts,” (produced by Charlie Sexton). We saw him last year alongside actor-director Ethan Hawke promoting the biopic “Blaze”; and the afternoon closed out with Edie Brickell and the New Bohemians, whom we most recently saw in 2018 at Washington DC’s Lincoln Theatre. She recorded her most recent album “Rocket” in Austin – an album released 30 years after the successful 1988 “Shooting Rubberbands At The Stars” which featured the hit single “What I Am”. For the a second evening, we again attended a show at the Opa! Coffee and Wine Bar on South Lamar. On this particular evening it was the spectacular pairing of Robbie Fulks and Linda Gail Lewis (the sister of Jerry Lee Lewis) for one of the most enjoyable shows of the entire trip. Fulks and Lewis released the album “Wild! Wild! Wild! ” (Bloodshot Records) in 2018. 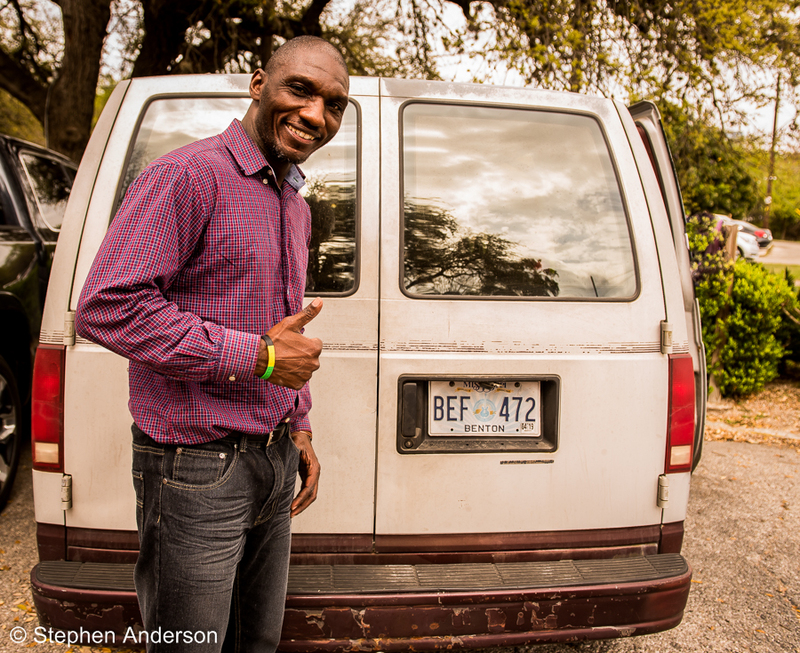 Cedric Burnside showing off his Mississippi license plate outside venue. 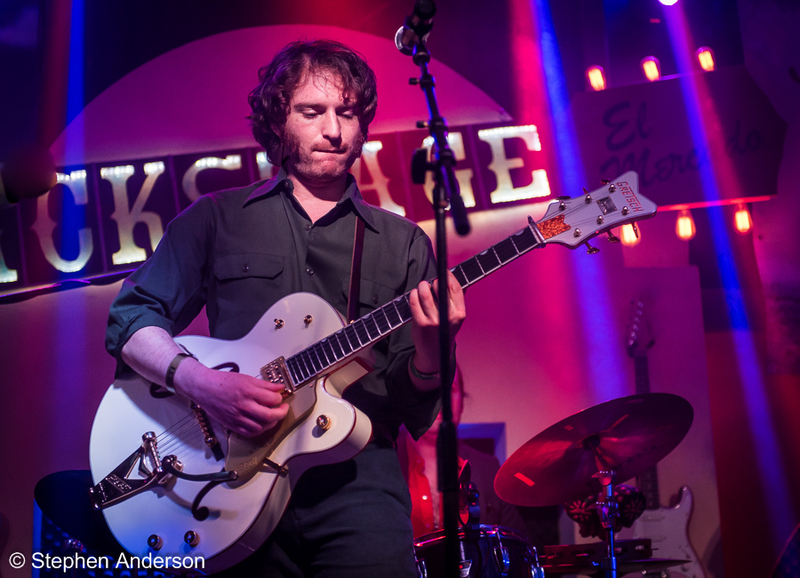 On Friday, March 15, we returned to El Mercado’s Backstage for another WMOT 89.5 “Roots Radio” Sessions that began with John Paul White performing songs from his upcoming album “The Hurting Kind” who ended his set with a well-done version of the E.L.O. classic “I Can’t Get It Out of My Head”. It was nice briefly visiting with White discussing Jeff Lynne’s E.L.O. 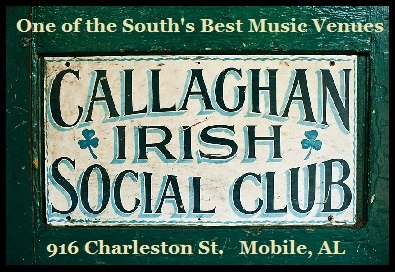 tour and the great Mobile, Alabama venue Callaghan’s Irish Social Club. He was followed by recent Grammy nominee, Cedric Burnside. 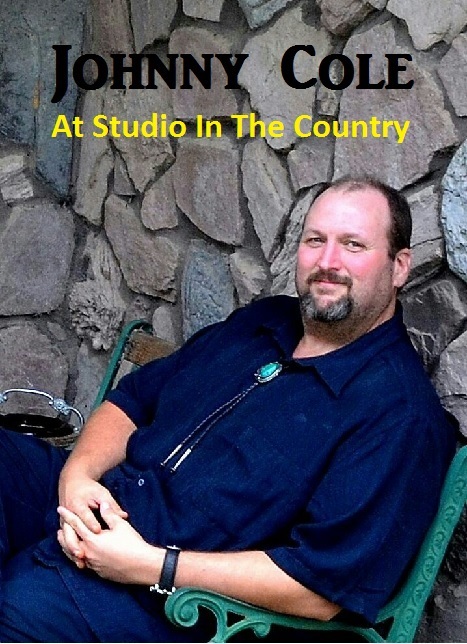 The Memphis-born, Mississippi-raised grandson of the Hill Country blues legend R.L. Burnside was definitely a crowd pleaser and one of many highlights at this year’s event. The rock/soul/blues/jazz tunes of John The Martyr were next in line as the day continued. 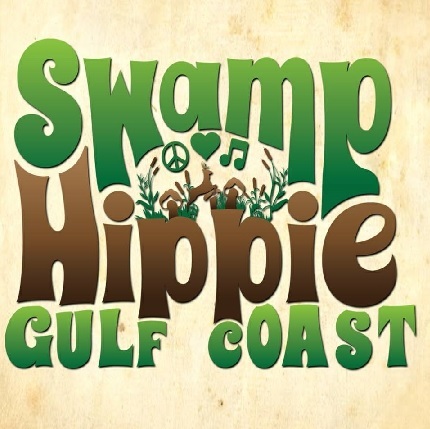 The large band with New Orleans roots filled the stage with several musicians while fronted by lead vocalist, Bill Hudson, a former New York City subway singer. For around 45 minutes, the Texas venue felt a little bit like Showtime at The Apollo. The afternoon continued with Austin favorites Nakia and the Blues Grifters, who had the audience out of their chairs singing along and waving their hands. In 2018, the former season one semi-finalist on The Voice and Bama-raised Nakia released the album “Blues Grifter”. Formerly of Band of Horses, Tyler Ramsey, was the next performer of the day, teamed up with his band to perform several songs including some from his soon to be released “For the Morning”. The Marcus King Band would be our final taste of live music from this year’s trip to Austin. Recently, I had the honor of seeing Marcus King share the stage at New York City’s Beacon Theatre for the Love Rocks NYC Charity event. He shared the stage with such greats as Robert Plant, Ann and Nancy Wilson, Billy Gibbons, Taj Mahal, Keb Mo, Buddy Guy, Larkin Poe, Jimmie Vaughan, Sheryl Crow, Lukas Nelson, Grace Potter and others. I was able to discuss this briefly with Marcus; he said it was such a cool experience. 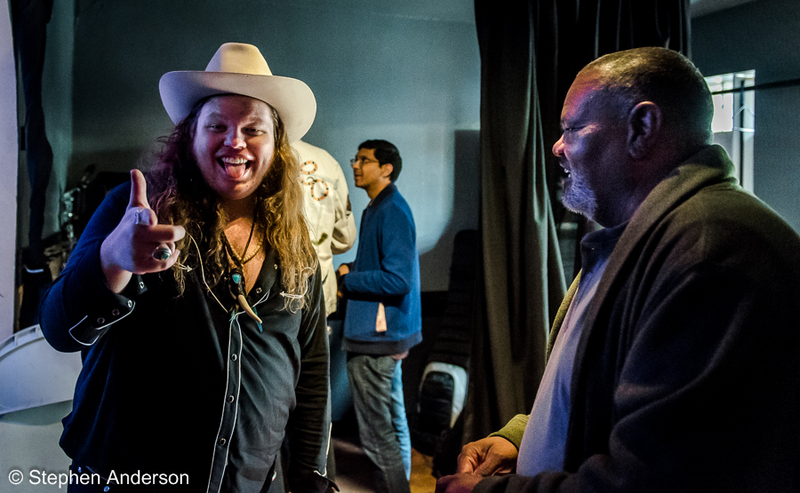 The Marcus King Band is riding high at the moment and they once again proved it at the WMOT Radio Sessions. Another SXSW has come and gone, but we are always thankful to have had the opportunity to enjoy our time in Austin for the this outstanding event. We are also thankful to everyone who helped make this week happen and look forward to returning in 2020. Tagged Austin, Ben Dickey, Bill Kirchen, Bonnie Bishop, Cactus Blossoms, Cedric Burnside, Chuck Mead, Edie Brickell & The New Bohemians, El Mercado, Erika Wennerstrom, Gurf Morlix, Hula Hut, Jessie Scott, John Paul White, John The Martyr, Justin Townes Earle, Linda Gail Lewis, Logan Ledger, Magnolia Cafe, Marcus King Band, Nakia and the Blues Grifters, Opa Coffee and Wine Bar, Robbie Fulks, Sam Morrow, Stephen Anderson Photography, Sun Radio, SXSW 2019, Tyler Ramsey, WMOT Roots Radio.